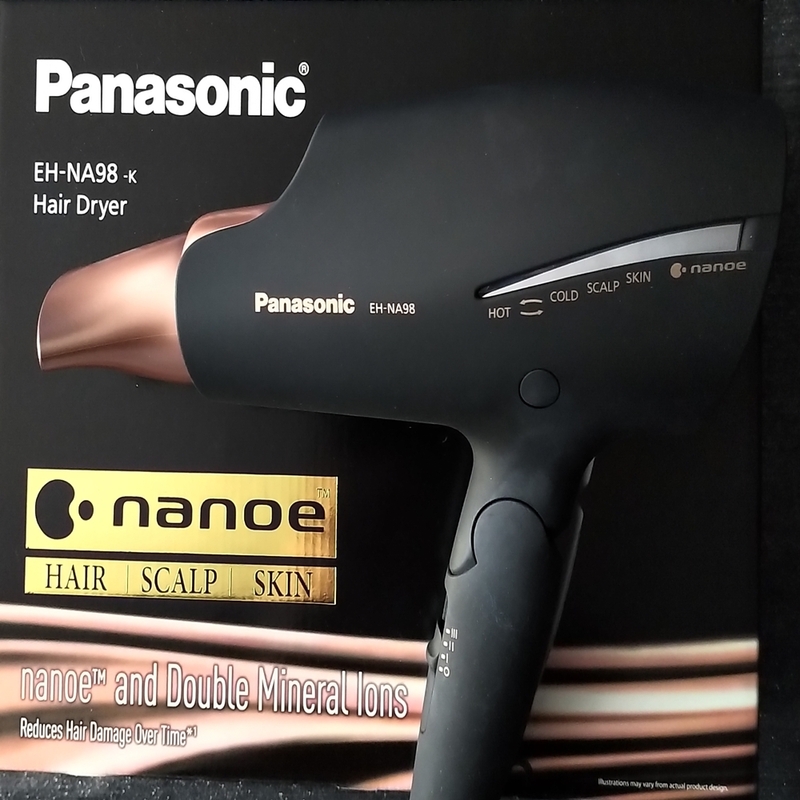 Home / HairCare / The Panasonic Hair Dryer EH-NA98 Review. The Panasonic Hair Dryer EH-NA98 Review. Dry and style your hair with ease, while still looking after the integrity of the hair because of the technology the Panasonic hair dryer EH-NA98 arrives with. Beautifully packaged in an informative box, the hair dryer presents itself as a soft matte black with rose gold detailing. Featuring three speeds on the foldable handle, there are also 5 options available on the LED light screen that you can choose from by pressing a button featured below it. 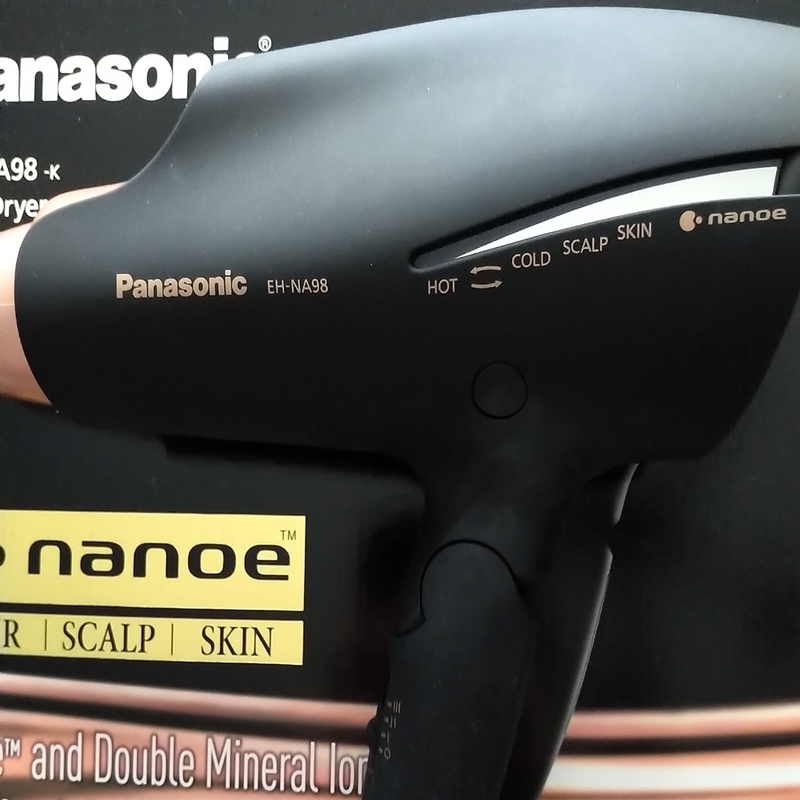 The other great feature is the hair dryer features Panasonic's successful nanoe and double mineral technology that penetrates the hair with moisture and tightens the cuticle to keep your hair elastic and healthy, while also helping the hair become stronger against brushing damage and UV rays. The Panasonic hair dryer EH-NA98 features a quick dry nozzle in its built-design for you to increase your drying time by using the vertical strong and weak airflow's, you can attach the gold-rose set nozzle to the hair dryer to direct the airflow onto certain parts of the hair. Drying your hair partially with a towel and then using your current heat protectant or detangling products to prepare the hair, you are now ready to use the hair dryer. Skin Care Mode - Delivers nano sized moisture ions to the skin when your serum or lotion is applied to keep moisture on the face or body. Scalp Care Mode - Helps to ensure the scalp is dry from unwanted moisture, but is perfectly balanced and comfortable. Disclaimer: The link in black is not affiliated and is only used for you to find the product quicker! 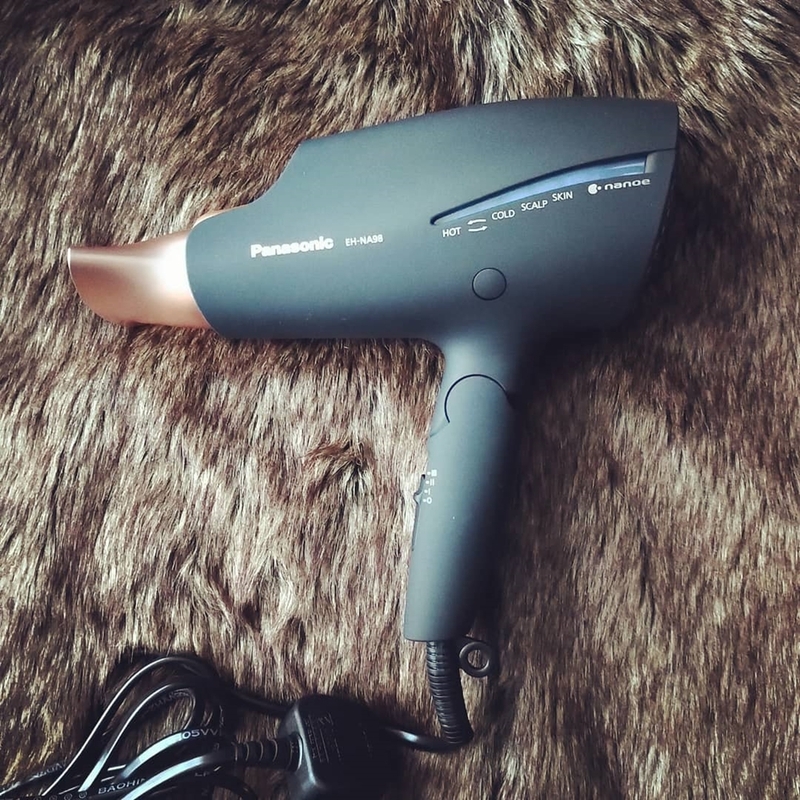 I have been really impressed with the Panasonic hair dryer and have been using it consistently because of its many features and how it generally helps and improves the hair. It infuses moisture in the hair because the nanoe technology penetrates deeply, breaking down the water molecules, while sealing and closing the hair cuticles for retained moisture, no frizz, and a healthier natural shine. It is also great to achieve different styles such as more volume, a sleek blow-out, or to set and hold the hair in its current style. 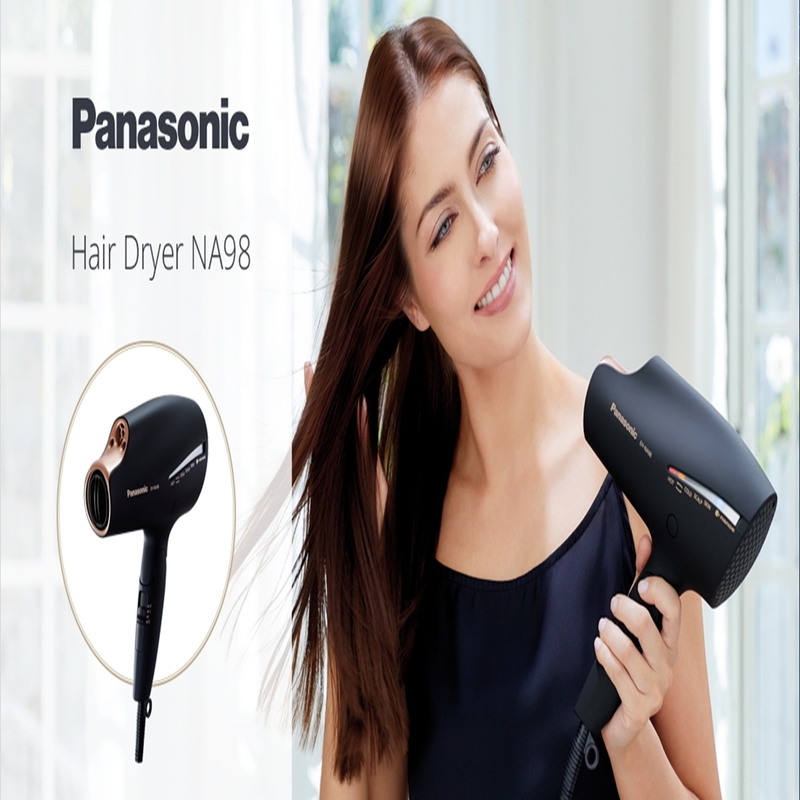 Overall your locks will be transformed to healthier looking hair and you will be wondering why haven't i used the Panasonic Hair Dryer EH-NA98 before? Stay updated by searching the hashtags #PanasonicHairNA98 and exclusive product launches at #TheInsidersUk X Neil.